Pamela Robinson’s deepest passion is a love of travel and discovering new places. Her experiences visiting over fifty different countries and over six hundred cities while owning and operating a travel business in the USA for fifteen years has made her an expert in finding and creating unique adventures. Pamela’s extensive study and journeys into exotic places, instilled in her a deep love for experiential and immersion travel experiences. As an accomplished advertising executive at CBS Broadcasting, her extreme attention to detail and ability to create integrated marketing campaigns tailored to each client’s specific needs propelled her to becoming a consistent top producer in the organization. 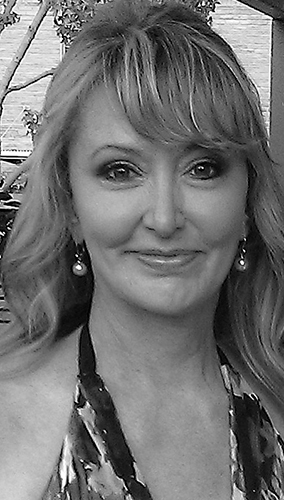 Coupled with a solid background in event marketing, web based advertising, and public relations, Pamela became become a highly respected partner of national advertisers, media buyers and advertising agencies. These broad skills have propelled her into providing the utmost in service by creating and selling unique itineraries for clients, as well as travel agents. Pamela has a deep understanding and appreciation for American traveler’s needs and interests and is a specialist in exclusive trips individually designed for discerning clients. To date, she has personally planned over 1,000 customized tours and is currently expanding the available itineraries to showcase the finest and most exclusive trips imaginable. With a focus on authentic, cultural, off-the-beaten-track adventures, culinary and historical tours, she has received rave reviews and numerous testimonials for her ability to define the best of the Balkans and other countries. Pamela Robinson continues to create remarkable journeys for the wondrous traveler. Mark Robinson is a business professional, avid traveler, and amateur photographer. After photographing Cecil the Lion in 2014 and Cecil’s subsequent slaughter, Mark co-founded www.CecilTheLion.org and the Cecil the Lion Facebook Community with his wife Pamela. Mark is the driving force behind the Community, which has grown to over 35,000 members and has donated over $10,000 to lion research in Hwange National Park, Cecil’s Zimbabwe home. Mark’s stewardship of the Facebook page and his belief that it be positive, engaging, informative, open to opposing views and accurate has led to it’s being one of the most frequently visited and trusted lion conservation sites. Lisa Albert believes passionately that travel and its attendant experiences provide the best insight into our world and ourselves. She loves to apply her exceptional travel history and inside knowledge to create memorable personalized journeys for clients, colleagues, friends and family. Fortunate to have lived on three continents, and traveled to all but Antartica, Lisa has explored more than fifty countries and has 6 alphabets under her belt. She grew up in California, attended high school on both islands of New Zealand, and lived in Croatia, Norway, and Spain. For Lisa, travel isn’t merely the transportation of getting to a place and seeing it – A real journey is transformative, and highlights interaction in the lives of locals, getting “off the beaten path”of tourist tours, with immersion into authentic experiences that enhance cultural appreciation. Exclusive Adventures has excellent English speaking drivers and guides, who are educated and enthusiastic. We have valued relationships with exclusive experiential opportunities. Our ongoing development of additional expertise includes Lisa’s River Cruise Specialist credential. Our personal research, first-hand knowledge, resources and relationships ensure that every trip designed by Lisa and our dedicated team will hold unique lifelong memories for our clients.